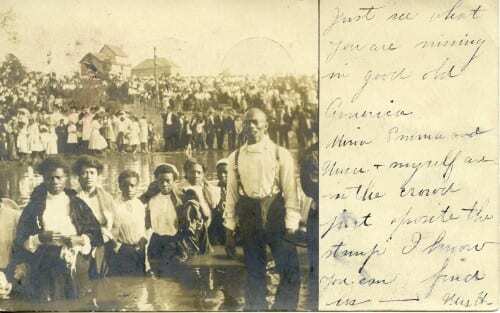 Detail of African-American men and women at a baptism, 1908. Courtesy Dallas Historical Society. Used by permission. “Max Beck colored baptizing 1908.” Courtesy Dallas Historical Society. Used by permission.